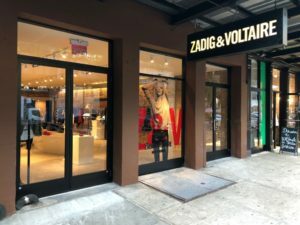 The Parisian contemporary brand, Zadig & Voltaire reopened its doors in the chic retail haven of the Meatpacking District. 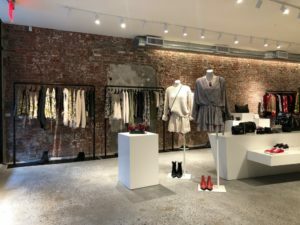 The renovation successfully combines gritty textures of exposed brick with classic design elements such as bright white lights and minimalistic black and white racks. 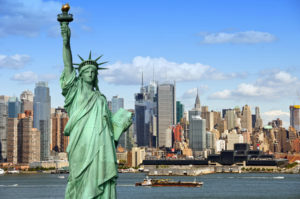 Check out the new spacious digs at 831 Washington Street in Manhattan. Kenneth Park Architects is the architecture firm responsible for the redesign of this project. Kenneth Park Architects is a 55-person, full-service architecture firm that specializes in retail, commercial and mixed-use developments.